Don't Want A Title Loan? Here Are 5 Other Lending Options. Being able to handle emergency expenses that pop up unexpectedly is something that all of us experience. We’ve all been there at one point. You try to keep your finances and budget in order but there’s always going to be unforeseen expenses. These budgetary issues are exactly what a car title loan is intended for. Unfortunately, need often trumps knowledge in these situations. Many first-time borrowers are left with the unanswered question, “Where can I get a personal loan?” The answer doesn’t just start and end with title loan companies. Much to the good fortune of many who lack the credit to obtain standard loans, you have other financing options available. You can find other options that may be in your best financial interest. Here at CarTitleLoans123 we want to provide our visitors with as many viable lending choices as possible. Let’s break down the various resources available to you. 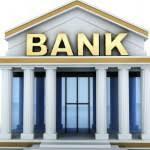 When most people consider “Where can I get a personal loan?, they think of banks, large and small. These banks and credit unions are well-qualified to not only process standard personal loans, but also, they have the most legwork associated with obtaining them. In comparison to online title loans, you will need good credit, but the interest rates will be lower. Choosing a bank to handle your personal loan request and paperwork should only be undertaken if one is willing to fully flesh out the plethora of documentation required. Compare this to title loan online, where little credit and banking paperwork is required. Typical banks require a full review of your credit history and a history of prior experience with the bank. You also need to provide listings of current revolving credit, employment status, and your income to expense ratio. If you are unwilling, or unable, to meet or provide these expectations and information, then another option might be best for you. Trailing close behind banks in necessary paperwork are peer-to-peer lending services. Benefits from a P2P lender are immense for borrowers but the entrance is often barred by high standards. A standard title loan lender shouldn’t expect to turn to a peer-to-peer lending network to answer the question of where they can get a short term advance. More often than not the requirements for credit scores alone will prevent a successful application. You may qualify if you provide a good credit score, are a full U.S. resident, and have an excellent debt to income ratio. Applicants can qualify to enter one of these networks, which provide very low interest rates and flexible payment plans. Consider that this type of person to person lending is considered an investment by the US Government and needs to be evaluated as such. This form of borrowing is rather new and you should stay updated on the constant regulatory changes that occur with this industry. Finance charges with a p2p lender much like a bank loan are going to be much lower than what you see with car title loans online. But, it’s hard to be approved with optimal conditions. Not many think the answer to “Where can I get a personal loan?” will involve the use of a credit card. But this can easily be a quick, painless remedy when an instant loan is needed. Still, a credit card advance can just as quickly spiral out of control when abused as many have figured out through their spotty history of debt. 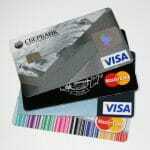 Credit cards should not be employed when debt repayment can not be setup to minimize interest. When planning for use as a personal loan, or cash advance attempt to schedule credit card repayments quickly. You want to complete the monthly payment in no more than 1 to 2 months. With this advance you can repay your debt in full before the grace period to avoid any accruing interest. Most auto title companies will not charge a prepayment penalty. Make sure you creditor has the same policy so you don’t have to pay an upfront fee for a payoff. Do you ever find yourself asking out loud, “Where can I get a personal loan”? Do you ask friends and family for short term cash instead of seeking out title loans that are completely online? If they inform you that they would be happy to loan you money, then luck is with you. Luck is rarely with a borrower as this resource may have already been used. Instead, you many have to go looking to obtain a loan from their relatives or friends. Some people you know may even want your pink slip as a form of collateral to back up the loan. Borrower beware, getting a loan from a close relation can sometimes result in a damaged relationship. An online loan between acquaintances should only be entered into if both parties fully know the risks and obligations.